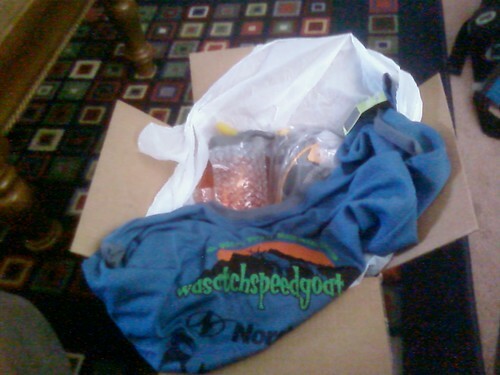 After a lot of hard work by the chief goat, our team gear was delivered this week. Great shirts, a pack, and tons of supplies from Nathan. Awesome! I broke my shirt in nice and proper with a 2.5 hour run in the mountains. It was great! 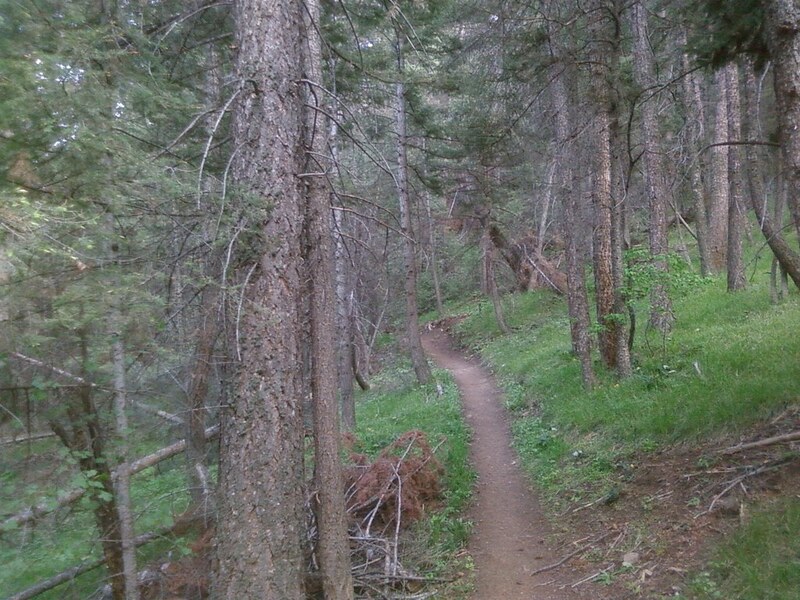 I’m so lucky to be able to run on trails like this. Posted on June 1, 2008, in run, training. Bookmark the permalink. 1 Comment. Man, I’m still waiting on my stuff. What’s that blue shirt? Scott sent me the gray one for MMT, so I reckon that must be the one Pearl Izumi fronted the team. BTW, the kitty photo is just too much. The closest thing you’ll find in my neck of the woods to that are rats lapping from a puddle of malt liquor.